Many circuits require “Through Hole” J201 JFETs. This is the most important component to many circuits. 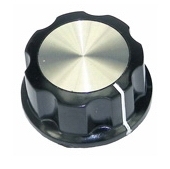 SMD is your High Quality – Low Tolerance Solution. Limited Super Discounted Price so there is no reason to not give these a try. Sadly the TO-92 package are out of production, and many of those that can be found online from China sources are so far out of specification that they do not work. Additionally testing shows wildly different specs regarding tolerance. This is the most important component to many circuits. SMD is your High Quality – Low Tolerance Solution. GuitarPCB is offering professional “Factory Soldered” conversion board (5-Packs) using SMD transistors that are current production and the tolerances are extremely consistent for the absolute best transistor match for all your J201 projects. 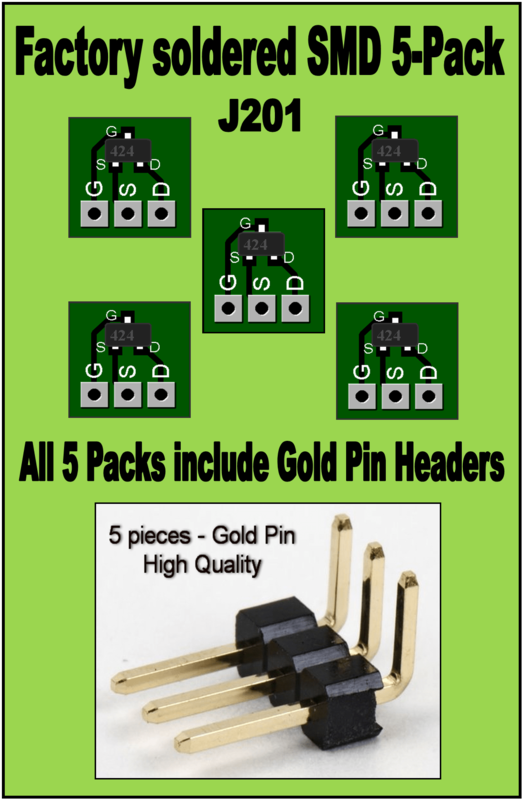 You get (5) Factory Soldered SMT chips onto (5) low profile boards as well as (5) quality Gold Pin Headers. Just solder our included Gold Pin Headers to the pads of the converter board and you’re good to go. Factory soldered and 100% tested. Why purchase a SMD for your projects? 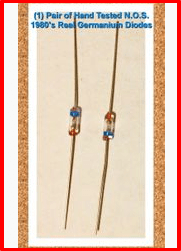 The precarious solder work is done for you without worries of failure due to heat or other considerations. 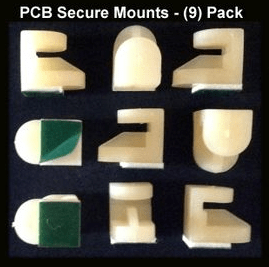 The biggest advantage of SMT or Surface Mount Tech is that the specifications are consistent in regards to tolerance (or difference) between components far superior to the old TO-92 package. 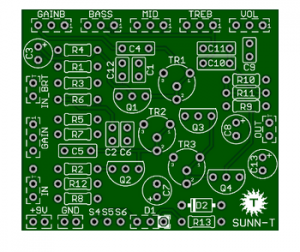 As a result our SMD Converter Board a.k.a. Sufrace Mount Device are clearly the best choice. *GuitarPCB is not responsible for inserting your J201 converter board in backwards.